I am a smoker. I have smoked cigarettes for the past 10 years, with the exception of my pregnancy. I was able to just step away from them for those 9 months…somehow. After Jp was born and we came home from the hospital, I started up again. Late nights and lots of coffee seemed to go well with a cigarette for me. I was disappointed in myself for picking them back up, but I am after all addicted. I have talked about quitting with my husband, but until last week I hadn’t actually followed through. The last straw came after waking up in the middle of the night choking and hacking because I had smoked a ton of cigarettes that day. Majority of my friends are smokers and when we all get together we seem to sit outside and chat, and just puff away. It is most definitely what I would call a social-addiction for us. I started doing some research on herbal ways to quit smoking. There are tons of different pills, serums, tinctures, and drinks. Then I came across Quit Tea. 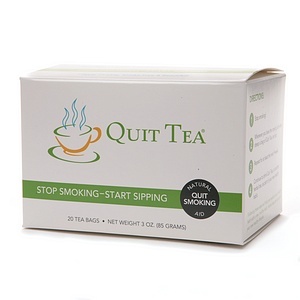 Quit Tea is a blend of herbs and spices that will help you quit smoking naturally. This herbal quit smoking aid is effective at relieving nicotine withdrawal symptoms, naturally, and safe to drink when you feel a cigarette craving. Quit Tea, herbal quit smoking tea, will help you stop smoking and adopt a new healthy, attractive lifestyle. The herbs in Quit Tea are all natural, were researched, selected, and tested to relieve all nicotine withdrawal symptoms including anxiety, nervousness, and tension, while increasing energy, curbing appetite, and detoxifying the body. The spices in Quit Tea taste great and help stop future cravings by desensitizing the taste receptors so cigarette smoke becomes unpleasant, making Quit Tea an effective natural stop smoking aid. And because smoking is also psychologically addictive and sipping Quit Tea will help break the habit of smoking for good. Quit Tea is made from all natural ingredients that are safe for consumption and part of making a lasting lifestyle change for the better. Quit Tea, natural quit smoking tea, is unique in that it blends all of the herbs and spices that are known to address each and every aspect of herbal smoking cessation; that includes nicotine withdrawal symptoms like nervousness and anxiety, it helps suppress your appetite, detoxify your blood, improve lung function, and make smoking less pleasant by desensitizing your taste receptors. Quit Tea does all this while providing a replacement habit, naturally because it is something to recondition your addiction from something disgusting and bad for you, to something good for you! Quitting will be hard. I know this, but I HAVE to do it. Not for myself, but for my son. I owe this to him. I think with this new understanding of why I have to quit and Quit Tea, that I WILL be able to get it done. I will also be putting myself out there in a way that I NEVER have before. I will be documenting this journey here. On that note, I have a couple of questions for you all!! Are you a smoker who wants to quit? What has given you the big push to stop? Is anyone in the process of quitting smoking right now? If so, how did you do it? Cold Turkey, Nicotine Gum, Hypnotism?!? Would anyone want to pledge to quit along with me? It’s always easier with support!! Over the next few months I could really use everyone’s positive feedback and suggestions. 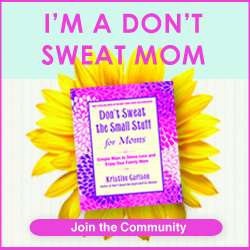 I will be posting weekly about my journey, and I would love to hear from you all. Here is to a successful endeavor and a new life as a Non-Smoker!! !